Heritage Hanmer Springs is located 90 minutes from the city of Christchurch and offers traditional villa and hotel style accommodation. 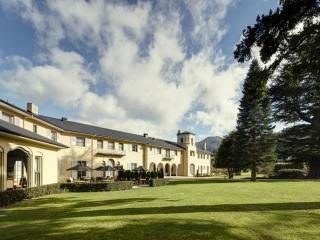 The hotel is ideal for couples, families and groups visiting the Hanmer Springs region. This New Zealand accommodation will ensure that you have a comfortable and relaxing stay. Renowned for the steaming waters of the Hanmer Springs Thermal Reserve, the area abounds in opportunities for outdoor adventure from rafting and jet boating on the Hurunui River to fishing and a game of golf in stunning mountain surroundings. Hunting excursions can be arranged, and naturally there is skiing within an easy drive in winter. Guests who prefer to stay at the resort can enjoy a game of tennis or petanque, or laze around the heated outdoor swimming pool. There is also a pool for toddlers. At the Heritage Hanmer Springs, guests can dine al fresco on the verandah in summer. The a la carte Dining Room features Pacific Rim cuisine with a traditional French touch, complemented by the region's award winning Waipara district wines. 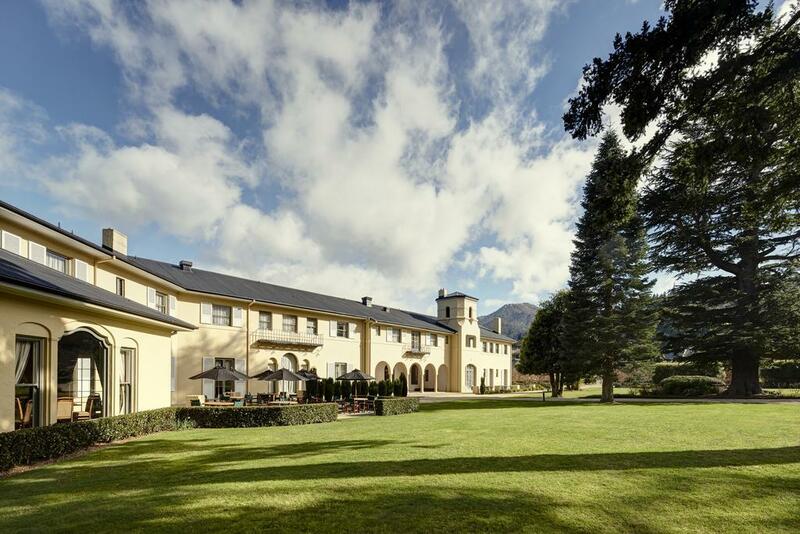 The elegant and beautifully furnished main buildings of this New Zealand accommodation, includes a guest lounge with an open fire in the cooler months, a tea lounge, the Piano Bar and the Dining Room with its vast ceiling and roaring log fire in winter. This Hanmer Springs hotel is the perfect place to take a holiday with your loved ones and get back to the things that make life special. Heritage Hanmer Springs hotel rooms have been restored to their original Spanish design, the former Hanmer Lodge site has been a part of Hanmer Springs for over a century. Now you can enjoy a stay in one of the beautifully restored deluxe or garden hotel rooms with all the features you would expect. Isobel's Restaurant: Enjoy alfresco dining in summer, and a menu bursting with Waipara New Zealand wines and Pacific cuisine. Open for breakfast, lunch and dinner daily.